Greek parliament has decided against investigating allegations of bribery, involving Novartis and numerous high-level former politicians. The case has dominated headlines in Greece for well over a year but now looks likely to lead nowhere, after both an investigating committee and now the Greek parliament opted not to pursue the allegations made by several unnamed witnesses. The allegations included that former ministers had taken kickbacks, in order to maintain Novartis’ sales on certain products in the country, even though there were cheaper alternatives available. It was suggested, by the witnesses, that money exchanged hands through payment for trips and, in the more salacious claims, that suitcases filled with money were handed over to politicians. 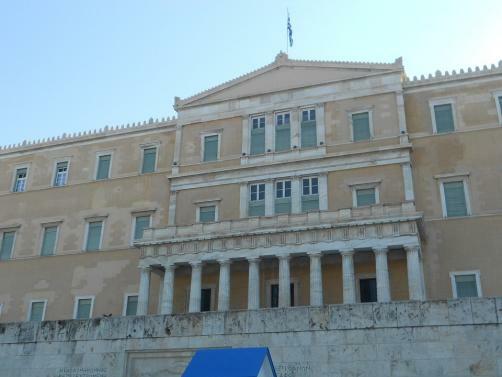 However, after a debate involving the parliament, all opposition parties abstained from voting, barring Golden Dawn, leaving the ruling party, Syriza, to decide the fate of the investigation. In total, 168 votes out of 172 opted not to pursue the investigation any further – despite current Prime Minister Alexis Tsipras having been a vocal proponent of following up the claims made by witnesses against Novartis and former politicians. One of those accused, Yannis Stournaras who is a former minister and head of Greece’s central bank, said “These un-investigated slanders have created a sick environment for some to play cheap political games where no rules apply, at the expense of the honour and dignity of those who are being slandered, and, worst of all, to the detriment of justice and democracy”. Regardless of the failure for any decisive action to be taken on the claims of the witnesses, the rumours are bound to continue circulating and Novartis’ reputation will have been damaged, after it had also faced similar accusations in South Korea, China and the US – resulting in large fines for the company.